We all love adventure games and no doubt it is one of the most popular genres in video games. As a kid, we read or listened to adventure stories and adventure games gave us the opportunity to write our own adventure stories. Another reason why the genre is so popular is because of the versatility, you can play adventure games that are focused on the storytelling and you can also find adventure games that are focused on the action-packed gameplay with different combat scenarios. I'm going to mention 5 more adventure games of my choice, these games are not all from the year 2019, but I consider them very much playable in 2019. Before getting started here is the list of 5 Adventure games to play on your computer. And now I will add 5 more to that list. Monster Hunter world takes you to a new world full of adventure and obviously, Monsters. In Monster Hunter: World you are a hunter, your goal is to take down monsters and collect items to make stronger weapons for future battles. 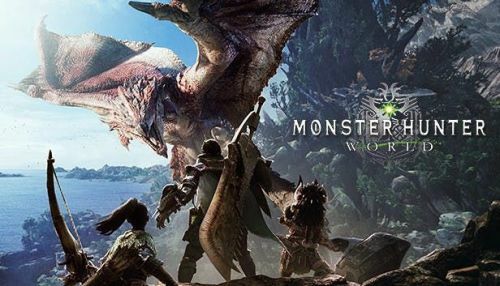 There are multiple locations in the new world where you can find different monsters, travel in these areas to find the various creatures and the monsters of the new world. There are 14 different weapons, you can choose multiple weapons or you can master one of them. Each weapon has a unique attack and characteristics. Scout and track the monsters, find their footprints and other evidence to follow them and hunt them. Use a slinger to turn stones into weapons or use other specialized weapons to win the fight. Besides the weapons and tools, monster hunters are also dependant on Palicoes. Palicoes are a reliable friend of every monster hunter. Palicoes have specialized offensive, defensive and restorative support abilities.